Rhetoric aside, these findings are not surprising to me. Having examined many small business 401k plans, I have found insurance companies are the most egregious offenders of high fees and hidden costs. Unfortunately, the small business 401k market is dominated by these insurance companies since they have extensive sales forces on the ground. What difference do fees make? Let’s assume an employee of a small business puts $10,000 into his 401k plan each year, and the portfolio grows at a rate of 7.5% before costs. If the plan fee is 2%, his 401k plan will grow to $511k in 25 years; if the plan fee is 0.5%, his 401k asset will grow to $632k. $632k – $511k = $121k > 12x$10k. The employee under the high-cost plan literally gives up 12 years of his contributions! Will he do better not contributing to the 401k plan at all? The short answer is yes. Let’s look at the numbers. Uncle Sam will take a 20% cut of any long-term gains. Since the portfolio grows at a rate of 7.5%, this is equivalent to a 1.5% asset “fee” per year: 1.5% is certainly less than 2%. In other words, the insurance companies take all that Uncle Sam did not take, and then some. It is cheaper to just pay Uncle Sam and be done with it. Most small business owners correctly think that a 401k plan is crucial to attracting talent. What they overlook is that once they sponsor a plan, they are held to the fiduciary standard. They are liable if the plan cost is too high or the plan investments are not appropriate. The Deloitte study shows that most small business owners are swimming naked, legally speaking. 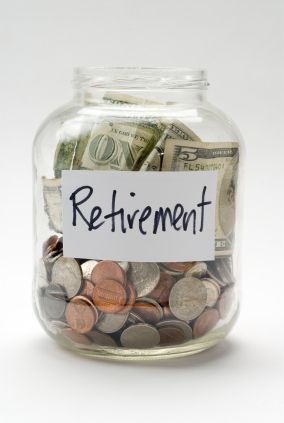 No wonder lawsuits against 401k plan sponsors for breach of fiduciary duty are ballooning. Even for small business owners with less than 100 employees, there are ways to keep plan costs below 1%. If you are a small business owner and you are not sure about how much you pay for your 401k plan, schedule a Discovery Meeting with me. I may be able to help. 3 Responses to "Small Business 401k, Big Plan Fees"
I have found that using a TPA geared towards handling small business retirement plans can be a great way to save my business money on administration costs for our plan. Many of the larger firms (for example, payroll providers) seem to charge a lot more for the same amount of work. Steidle Pension Solutions has been handling my plan for six years now and remain one of the lowest cost. Their excellent customer service and personal approach is what I appreciate most about Steidle. I agree. The unbundled approach is usually most cost-effective, but it takes a bit more work on the business owner/sponsor part.